Neil Armstrong was born on August 5th, 1930 in Wapakoneta, Ohio. He went to Purdue university and holds a degree in aeronautical engineering. He also went to Southern Cali. university and got a major in aerospace engineering. From 1949 to 1952 he was a naval aviator. After is service in the military he became a test pilot. Neil's first mission was in 1966 on board the Gemini 8 on this mission neil and David Scott performed the first docking in space between two vehicles. On July 1969 he commanded the Apollo 11. July 20th 1969 he landed on the moon. He was on the moon for 2.5 hours. Neil left NASA in 1971 and became a professor in aerospace engineering till 1979. He was married and had two kids. Neil died August 25th, 2012. 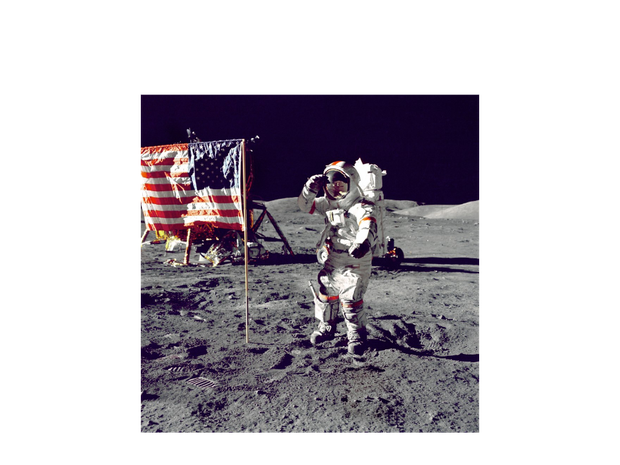 Picture one- Neil Armstrong on the Moon. N.d. Estate Vaults. Web. 9 Nov. 2014. Book- Angelo, Joseph A. Human Spaceflight. New York, NY: Facts on File, 2007. Print. Website- "Neil Armstrong." Neil Armstrong. N.p., n.d. Web. 04 Nov. 2014. 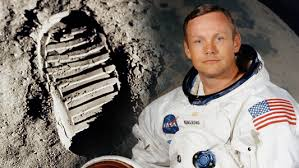 Video-Neil Armstrong- First Moon Landing 1969. Perf. Neil Armstrong. Youtube, 2012. Online Video.